Standard whiteboard has a smooth and durable writing surface, useful for jotting down notes, organizing ideas and brainstorming. Various size options and flexible mounting?fits into any space. 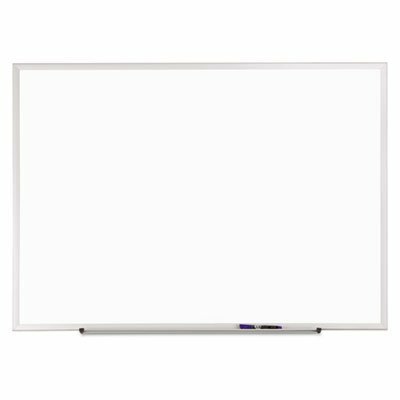 Board Type: Dry Erase; Board Width: 96""; Board Height: 48""; Surface Material: Melamine. Classic melamine dry erase board. Dependable, melamine whiteboard has a smooth writing surface. Best for light use in personal or low traffic environments. Finished aluminum frame complements virtually any d?cor. Whiteboard can be mounted vertically or horizontally with included mounting hardware.